Giant circle discovered on the Baltic seabed - ufo ? 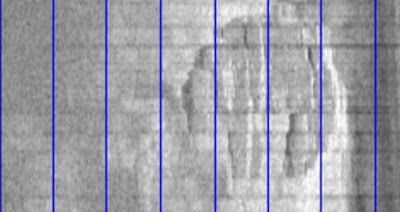 One of our Swedish readers sent in this highly interesting article (and translation) about a large circular object that remain unidentified at the bottom of the baltic sea. An algal bloom? A mine? A UFO? No one knows. But it is clear that Swedish treasure hunters found a giant circle on the Baltic seabed. till asleep in their bunks. Barely awake sat remaining three, staring at the screen that shows what is hidden on the seabed. The group called Ocean Explorers and call themselves treasure hunters. Their mission is to comb the Baltic Sea wrecks containing alcohol which can then be sold at auction.1997 found leader Peter Lindberg wreck Jonkoping in the Åland archipelago. On board were champagne that has subsequently been sold for millions of dollars. At 87 meters, between Sweden and Finland, they saw a large circle, about 60 feet in diameter. - You see a lot of weird stuff in this profession, but during my 17-18 years as a professional vrakletare I have never seen anything like this. Shape, completely round the circle, makes this unique, said Peter Lindberg. - Germans have been there, the Russians have been there, dumped a huge, yes, it is not inconceivable, said Dennis Åsberg one involved in the expedition. - I have no idea. All I know is that I've seen anything down there that is solid - stone, concrete or steel - and that is completely round. They rule out theories that there is a depth bomb or mine from the First World War - or a symmetrical blooms. - It does me completely. This is not soft, says Peter Lindberg. - The most likely scenario is still that there is a natural ground formation. Holy Crap, it's the Millennium Falcon! 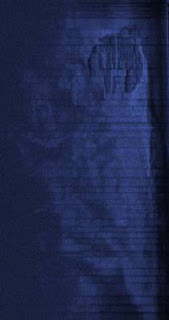 In the dark blue picture , to the left of the round shape is what looks like a person and then below that image is what looks like two much larger images of people side by side. Dang it, someone beat me to the punch line. My first thought was the Millennium Falcon too. It should be 60 meter in diameter, not 60 feet. And what is going to happen now ? Are the going to check from up close with some robot that can go deep and take pictures ? Looks much like a volcanic magma vent on the sea bed.